Have you ever wondered how to start your own salon or spa? Modern Magazine estimated that the total revenue for all North American salon industry services in 2012 was approximately $75.38 billion and is expected to increase within the next few years. For this reason, many people in the beauty industry are motivated to advance their career by opening their own salon or spa. Because many MC College students aspire to opening their own salon or spa, MC College is offering an entrepreneurship course to help Full Time Hairstyling students succeed as an entrepreneur in the beauty industry. With the help of Grant MacEwan University, industry experts and the Education Director at MC College, the course teaches students how to promote and differentiate their product and services, accounting/financial processes, and how to write a business plan. In this 5 day course, students travel to Grant MacEwan University to receive practical, hands-on training while at the same; experiencing what university life is like (did I mention that this course is provided to Full Time MC College Hairstyling students at no extra cost!). 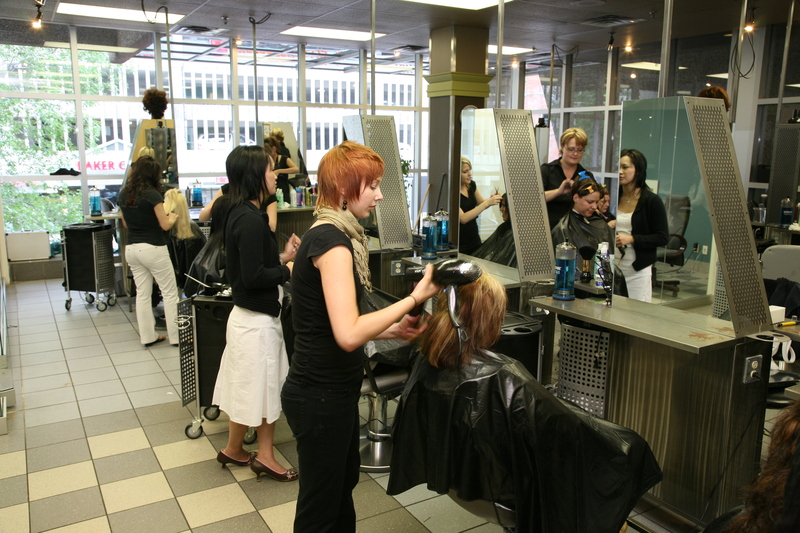 The Salon Entrepreneurship course is a complement course to MC College’s salon business program, ‘Shaping Your Success’. This program gives students the skills and knowledge to succeed in a client driven industry by focusing on topics such as personal marketing and client building/retention. The Salon Entrepreneurship course is currently only offered at the Edmonton MC College Campus and is taught by Frank Saccucci, a professor in the School of Business at Grant MacEwan University. He has over 25 years of professional experience in management consulting, commercial banking and venture capital.